Apple’s reported results for its fiscal first quarter that showed iPhone sales rose less than 1 percent from a year earlier. 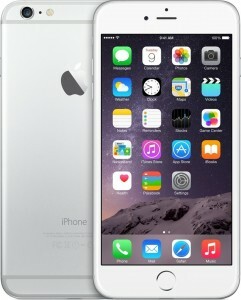 The company said it sold 74.8 million iPhones in the quarter ending Dec. 26. Apple sold 74.5 million in the same quarter a year ago. This was the slowest year-over-year growth rate for the device ever. The company is now projecting its first revenue decline in more than a decade. Analysts predicted that demand for Apple’s latest iPhones, the 6S and 6S Plus, had been weak in the period leading up to the earnings announcement. Sales of the iPad tablet dropped 25 percent from a year earlier in terms of units, while Mac computers declined 4 percent. In total, revenue was $75.9 billion, an increase of 1.7 percent from a year ago. Net profit was $18.4 billion, up from $18 billion a year earlier. The performances raise questions about what Apple will do to satisfy investors. Apple’s chief executive, Timothy D. Cook, said in a conference call with analysts that the slowdown reflected greater global economic and financial market uncertainty. Shares of Apple are down more than 11 percent over the last year. Soaring sales of the iPhone fueled Apple’s ascendance into the world’s most valuable company, accounting for about two-thirds of the company’s revenue. The company enjoyed high double-digit revenue gains due to the impressive sales of the iPhone and its other devices. Investors and analysts are worried that Apple is now entering a period of slow growth. The iPhone has begun saturating the market and the company has not introduced a new blockbuster device that could help it increase sales and revenue. Along with its earnings report, the company also issued a sales forecast that signaled that the sluggish sales would continue for the near future. For the current quarter ending in March, Apple estimated revenue of $50 billion to $53 billion, lower than the $55.4 billion forecast by Wall Street and down from $58 billion recorded in the same quarter a year earlier. Public Employees Retirement System of Ohio Acquires 7,540 Shares of Universal Health Services, Inc.